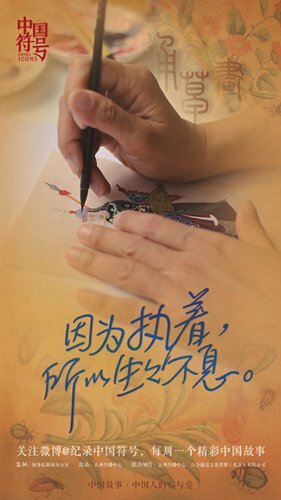 A new mini-documentary series focusing on Chinese master craftsmen and their stories will not only air on China's major streaming platforms such as iQiyi, tv.people.com.cn and Tencent Weishi, but also reach a wild range of overseas viewers on YouTube, Facebook and Twitter through new partnerships, the Intercontinental Communication Center, the series' production company, announced on Wednesday in Beijing. 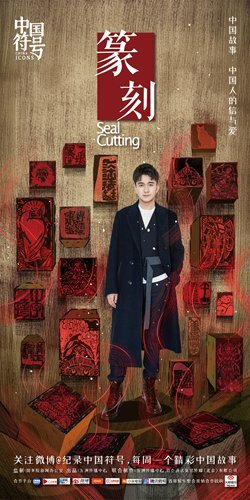 According to Jing Shuiqing, the producer of the series, the upcoming Shouyi Renxin (Lit: craftsmanship and kindheartedness), a part of the center's key China-themed new media project China Icon, will feature eight episodes covering different types of Chinese handicraft techniques such as bamboo curving, copper beating and ceramic painting. In order to attract more young viewers, the miniseries has cast four stars to narrate the stories of the Chinese masters of these techniques. In addition to allowing these masters to demonstrate their craft, the show will also give behind-the-scene looks into their daily lives. "The reason why they can be called masters is that they have dedicated all their time and energy into perfecting a single craft their entire lives. However, in their daily lives, they are just like you and me. The motivation to achieve so much may be due to a certain feeling, or because of a promise made to a mother or father - with this particular kind of feeling, we hope to touch millions of viewers," Zhao Jianhua, the director of the China Icon project, said at the announcement. In addition to handicrafts, the program will also cover themes and topics such as famous Chinese landscapes, festivals and cuisine. "Finding an icon to represent the lives of modern Chinese people, telling modern stories about China's traditional culture and then presenting this internationally through different languages and forms is what China Icon is all about," said Kong Weina, one of the project's organizers. According to Kong, a dedicated website and YouTube channel have been set up to better reach international audiences. "We have official accounts on Twitter, INS and Facebook and update them with the latest news regularly. Overseas audiences can catch up with our program anywhere at any time. We do hope each part of the program can present a certain part of China and in the end showcase a true, multi-dimensional, modern and vigorous image of China," she added.